Get out there and give our camps, clinics and leagues a try! 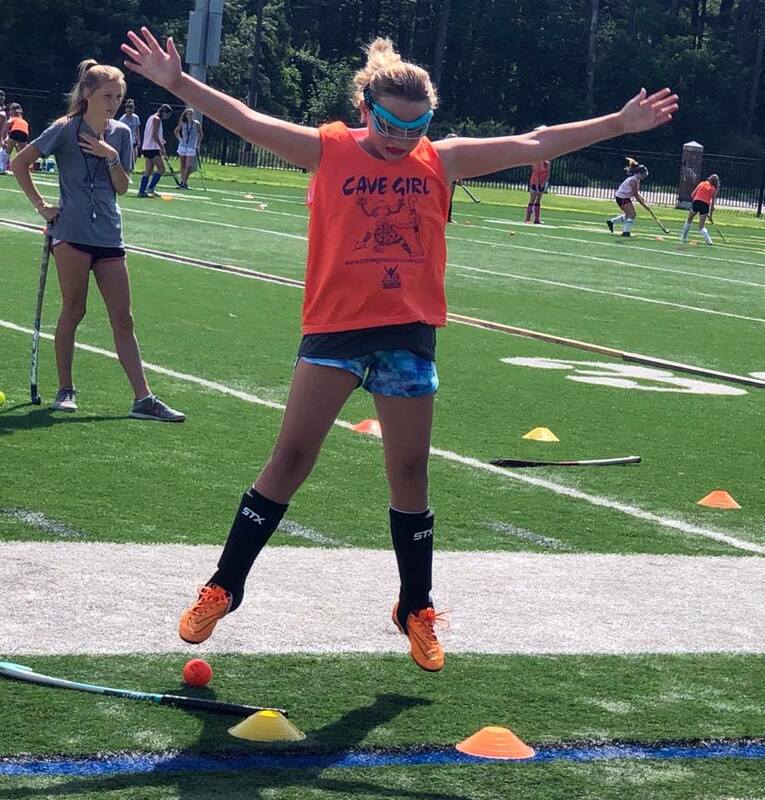 Cave Girl Field Hockey Camp is ideal for players determined to prepare for middle and high school level of play. Each player will receive both individual and group instruction under an excellent player/coach ratio. All players will be exposed to advanced techniques and the fundamental skills of field hockey. Each player is placed on a tournament team which play in games daily to learn the rules of the game and for experienced players to work on their skills at game speed. *8th graders who have team experience who also attend the morning session of Cave Girl Camp at Saint Anselm College 7/29-8/2 are allowed to attend the evening camp at Souhegan. At Cave Girl, we feel strongly that 8th graders need the fundamental skills provided at the morning session of our camp. However, we also see the importance of challenging those who are ready to take their skills to the next level. That is why we will offer these 8th graders the opportunity to attend the evening camp. Middle school students who do not fit these criteria cannot attend this High School Clinic. This way we can guarantee the competitive level for our high school players. Need a league that’s non-stop action? You found it! We play 7v7 round robin format (3 games play at a time). Players have many opportunities to touch the ball against different opponents because they play multiple games a night. Sign up individually, BUT you will be placed on a team with other members of your school team if they are present. Everyone is placed on a team each night based on who attends that night. The younger grades receive instruction in addition to game play. Goalies receive a $25 discount for league! Enter promo code GK! 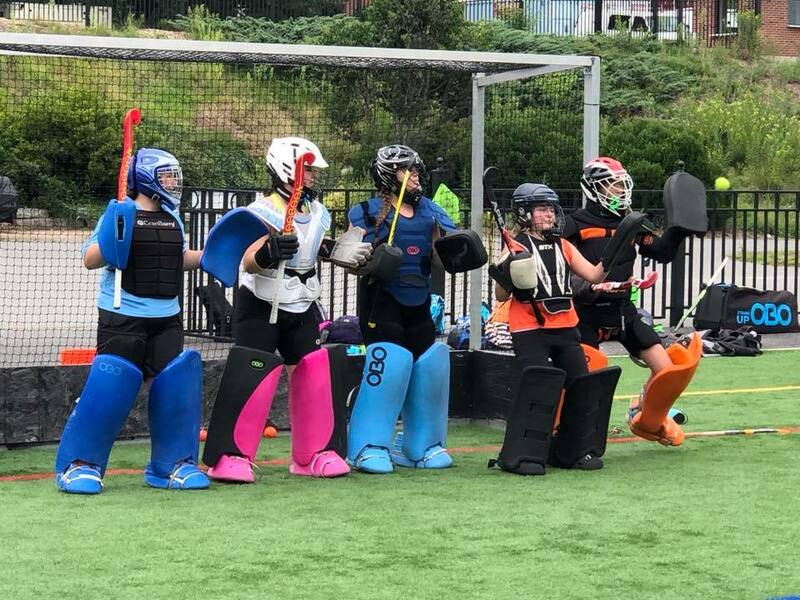 Cave Girl Field Hockey programs provide young athletes the opportunity to become better players by learning from some of the best coaches and players in the game. We provide quality instruction and healthy competition in a fun, supportive playing environment. Each player receives both individual and group instruction under an excellent player/coach ratio. 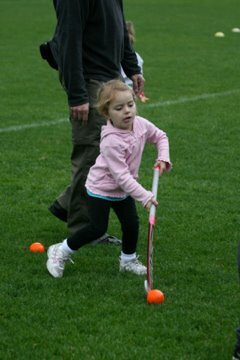 All players are exposed to advanced techniques and the fundamental skills of field hockey and lacrosse. The foundation of our field hockey curriculum is based on the US Futures Program as our camp is a USFHA Sanctioned Partner Camp. All levels of experience and ability are welcome and encouraged to participate in all of the Cave Girl programs as we group players according to age and skill.